ONE FOR LUNCH: Another relative newcomer with a French connection is Chalkers Crossing at Young in the Hilltops region of the NSW Southern Highlands: the first wines came out of this winery in 2000 under the hand of Paris-born and Bordeaux-trained, Celine Rousseau. 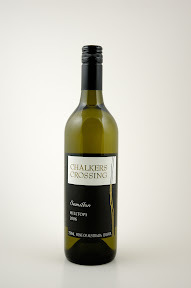 Her 2006 Chalkers Crossing Hilltops Semillon has nice citrus and apricot flavours, while the delightful balance of fruit and acid make it ideal to share with rich-flavoured sardines, whitebait or salmon Gravalax. A top-value drop at $18.